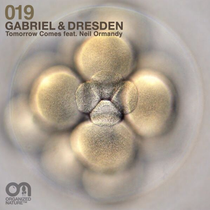 Easily one of our favourite production duos, Gabriel & Dresden keep the momentum going with their brand new track, ‘Tomorrow Comes’, out now on their label, Organized Nature via Armada Records. Featuring an understated, emotional vocal from English vocalist Neil Ormandy, ‘Tomorrow Comes’ is brimming with the trademark G&D touch – deep, meaningful lyrics, soaring chords, and a constant churning build that leads the listener to a hypnotic state. The track was already getting great support with both Armin van Buuren and Above & Beyond even before the promo run went out. It’s out now as a Beatport exclusive, with full release on other portals on September 9. Look out for a remix package to follow two weeks later with versions from Moska and Max Graham vs Protoculture. Check it out below.